Hire Our Professional Carpet Cleaning Company For Your Business Or Office Carpet Cleaning Needs! San Tan Valley Carpet Cleaners is a full service carpet cleaning company, and as such we are glad to off to our customer both residential and commercial carpet cleaning services. 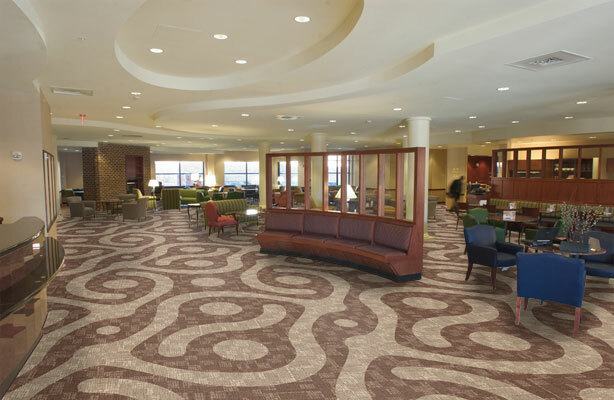 We are the preferred carpet cleaning vendor for local banks, hotels, and golf clubs. Allow us to clean your businesses lobbies, hallways, and office areas to give your patrons the best experience your brand has to offer. We offer carpet cleaning service for restaurants so that your diners can eat in a clean and healthy environment. When it comes to your business, we mean business. We have been setting the standard of how clean work environments should be in San Tan Valley. Be proud of your workplace and keep the carpets clean! Think about the foot traffic. How many hundreds, or thousands, or feet have walked across your floors since you have last cleaned your carpets? Chances are, you need to call us today! Keep your workforce healthy. You have no idea what can be hiding in the fibers of your businesses carpet. Many bacterias and allergens can cause your team to get sick and miss work, which could stall production and cause for a bad situation. Keeping your carpets clean can dramatically increase the air quality of your workplace, helping those that work with you to keep healthy and productive. You can visit us when you are at Queen Creeek, AZ in just 11 minutes car ride to our Office.